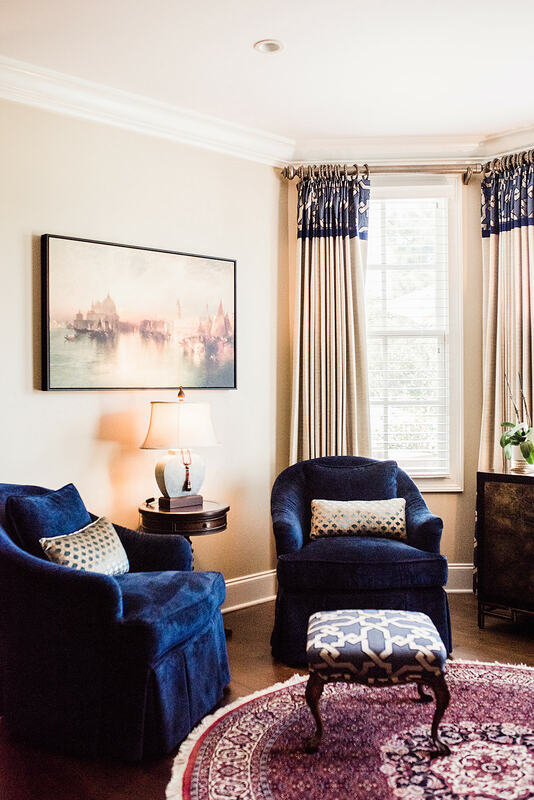 This couple contacted us as they were closing on their new home in Wilmington with a need for a designer’s eye to make this new space their own. 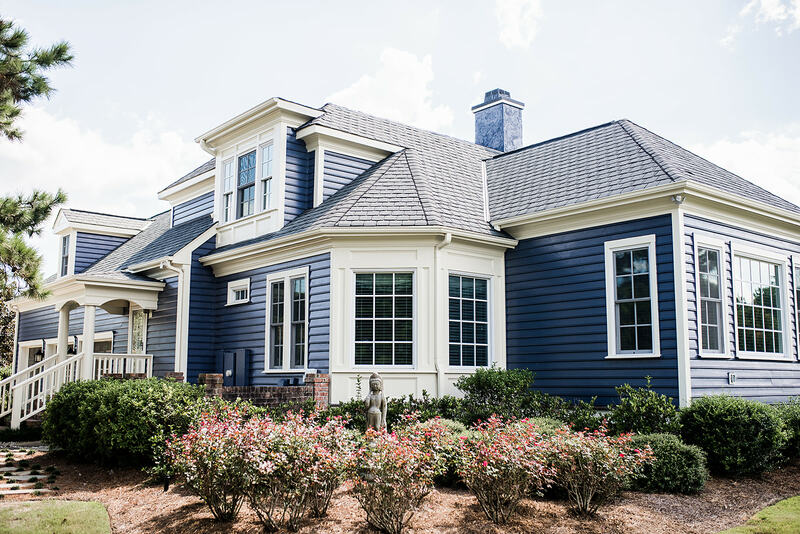 The first phase was selecting an interior and exterior color scheme. 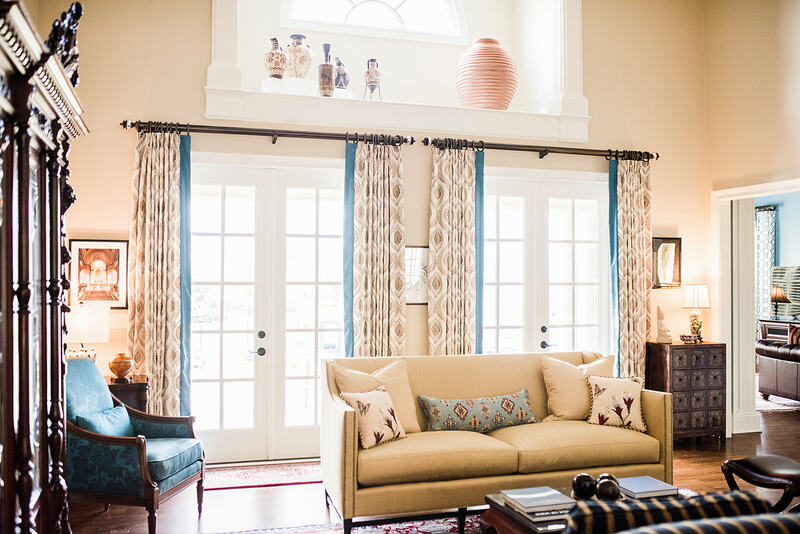 An oil and watercolor painter with an MFA under her belt, the client wanted her love for warmer, saturated tones to be incorporated into the scheme. 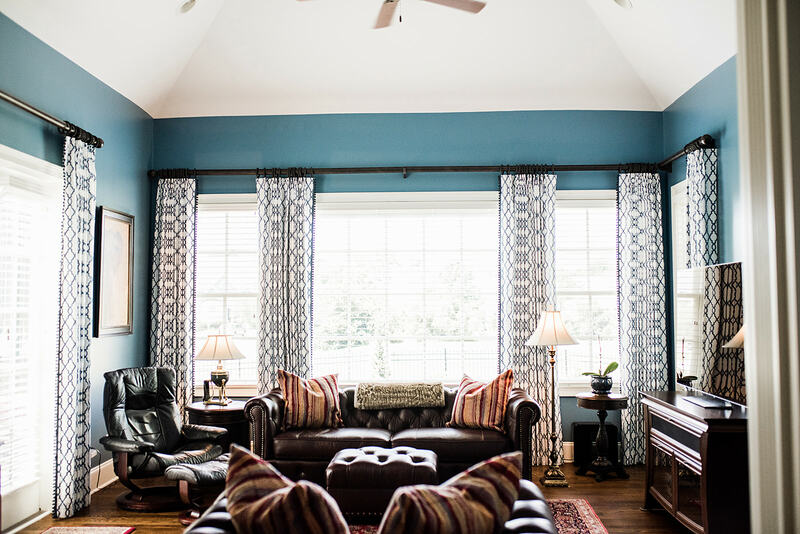 From the opulent exterior blue, to the ochre and merlot shades in the interior, down to the rich stain chosen for the hardwoods, we worked in the jewel tones that spoke to the owners. 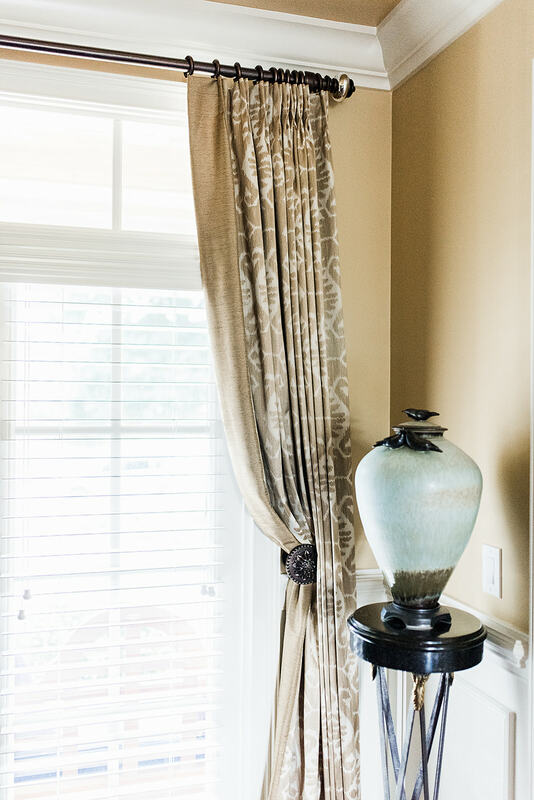 Beyond the color scheme, the clients needed our help with the finishing touches – blending two households and design styles into a singular home with a unified aesthetic. They wished for timeless design over trending pieces to avoid frequent updating over time. 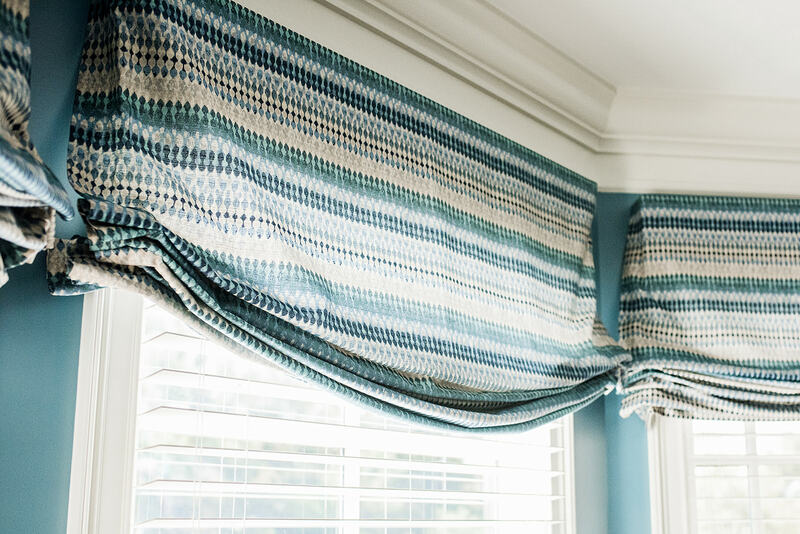 We designed custom window treatments for nearly every room in the house, again referencing those saturated colors but also keeping in mind the clients’ collection of 1900s antiques, furnishings, and sculpture. 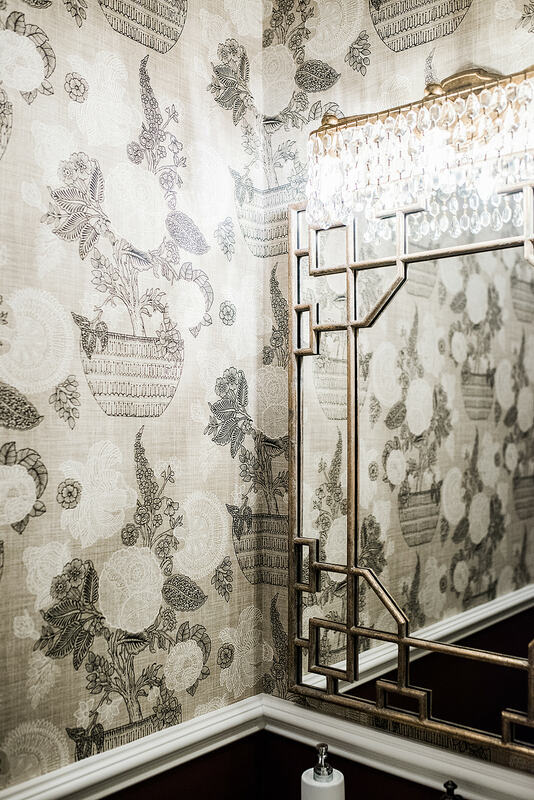 A truly collaborative experience, we helped the homeowners create a visual experience, a stunning showcase of art in a space of their own. 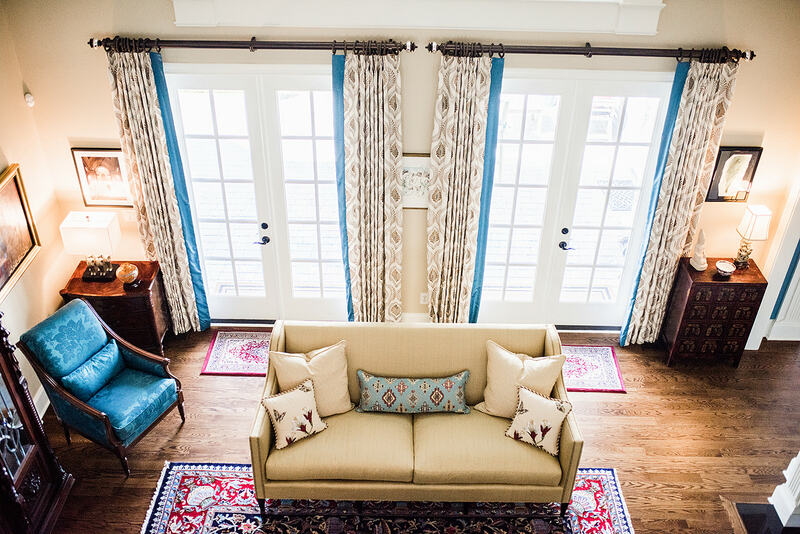 We designed the home keeping in mind the clients’ collection of 1900s antiques and furnishings and their love for saturated jewel tones.